Lordswood School in Harborne have said thank you to SJ Financial Solutions for sponsoring their annual school production. SJ Financial Solutions are strengthening their links with the local community through this ongoing partnership with Lordswood Girls’ School. 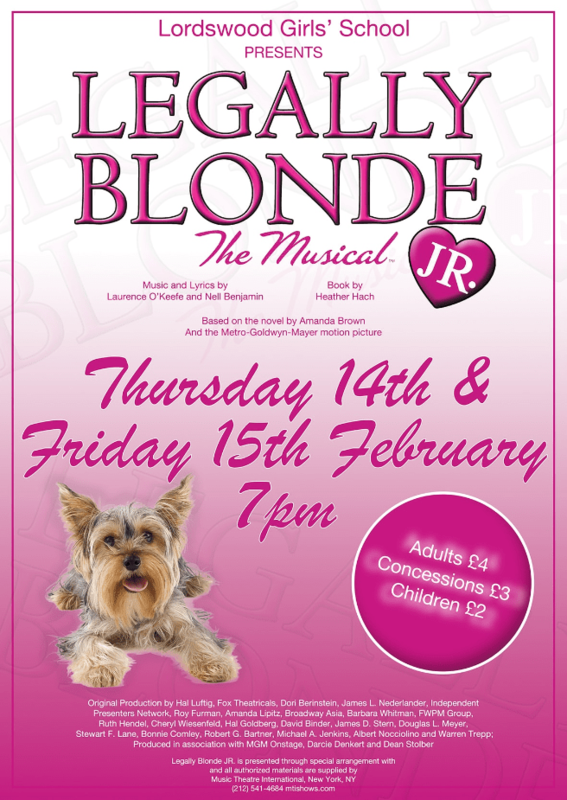 This year’s sell-out school show, Legally Blonde entertained audiences in February, featuring the talents of students aged 11-16 years, both on stage and behind the scenes. It also allowed sixth formers to get involved with choreography and sound production as part of their post 16 courses. Legally Blonde follows previous school productions, Grease, High School Musical, Little Shop of Horrors, and last year’s show, Little Mermaid. The school also used its dress rehearsal to perform to 100 local primary school children and students from Victoria Special School in Harborne. Claire Riley from Lordswood Academies Trust said: “With the help of supporters like Stuart and his team at SJ Financial Solutions, Lordswood School are able to put on a show like this each year – it’s a huge task and the money really does go a long way. “Everyone said it was the best show to date, with a brilliant cast, and we are really grateful to our sponsors for their help in making it a huge success”. Stuart Mosley, Director of SJ Financial Solutions said: “We’re thrilled to be able to support Lordswood School’s annual show this year – putting on a school production is a costly exercise, but it’s a fantastic opportunity for the pupils. “Many of our clients in Harborne have links to the school, either themselves as former pupils, or through their children, so we’re pleased that we can help Lordswood put on a successful production for friends, family and the local community”.